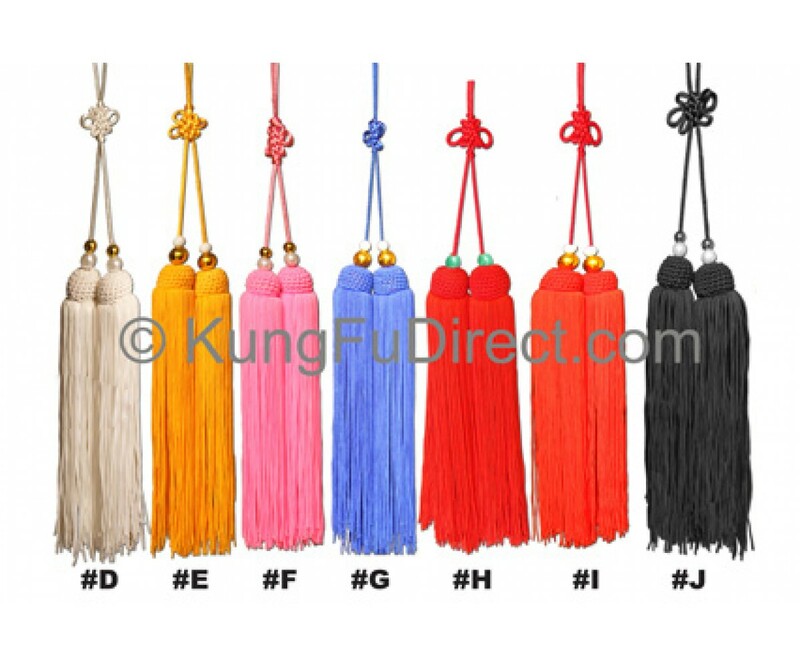 This lightweight sword tassel is available in various different colors, perfect to accessorize with your kung fu uniforms! 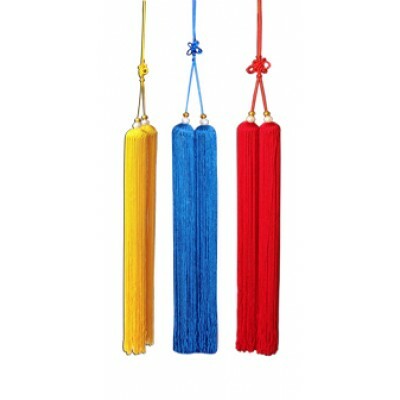 Can be used with tai chi or wushu/kungfu swords. 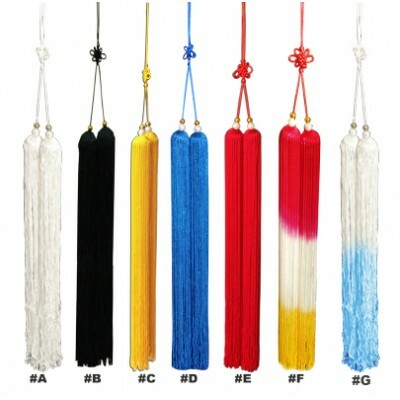 Length of ribbon (to attach to sword) - varies from 5-7 inches. 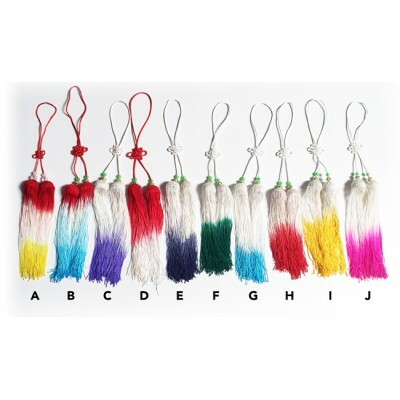 Due to varying ribbon and tassel lengths, total length of this product can vary from 19-22inches. 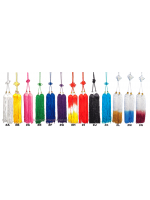 AC003 - Sword Tassel - BraidedThis lightweight sword tassel is available in various different colors.. 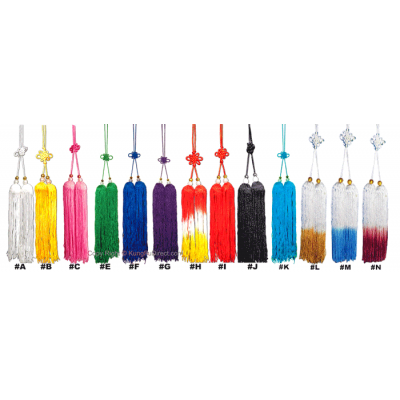 This lightweight sword tassel is available in various different colors, perfect to accessorize with ..